The National Sports Weekend is Back! Short Statured Sport Australia (with SSPA), are proud to announce the 23rd National Sports Weekend in Canberra from Friday 7th June to Monday 10th June 2019 (Queens Birthday Weekend). Before we introduce the new, we must acknowledge the past. The SSPA have celebrated the National Sports weekend in Albury for 22 great years. A huge thank you to Leanne and the Wegener Family for starting the weekend and for contributing to its success for over 20 years. A big thank you as well goes to Merry Young for leading the organisation for many years. The biggest thankyou to the SSPA Community; Without the ladies making the soup, the gents cooking the bbq, coaches running sport, umpires, scorers, spectators and everyone who attended the National Sports Weekend. It simply would not have happened. We hope that with the creation of Short Statured Sport Australia, along with this move to Canberra, we can carry with it all the things that have made the last 20 years a success. 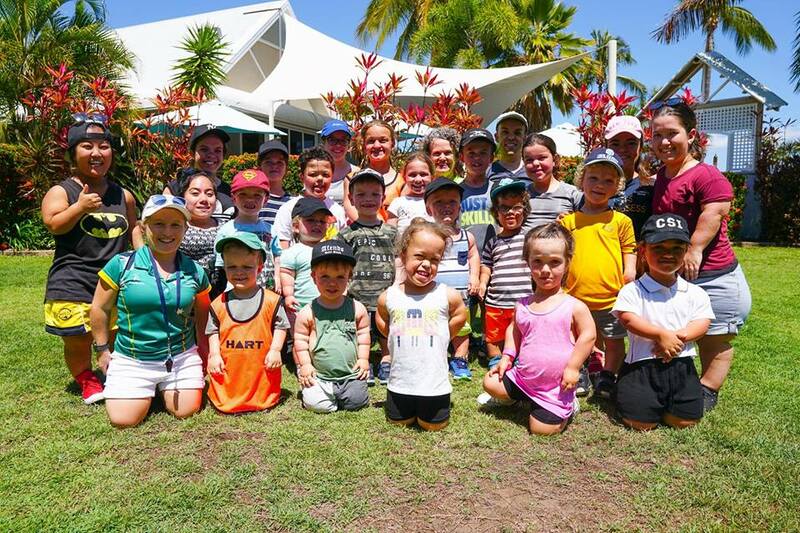 The future is filled with unlimited potential, and we are truely committed to providing more sporting opportunities for Short Statured athletes from around Australia. Opportunity to meet new people and reconnect with old friends. * In the past, the National Sports Weekend had offered competitive competition in: Badminton, Basketball & Boccia. We are hoping to expand this in 2019 and beyond. This year, we are at the Alivio Tourist Park, Canberra. It is located on 7 hectares of tranquil bushland, right in the heart of Canberra, they offer a central base to access Canberra’s top attractions and sporting venues. Only 4kms from the Canberra Centre, and less than 20 mins from the Airport. Alivio Tourist Park offers a variety of accommodation options and plenty of facilities onsite. Our Dinner Dance, BBQ Night and Social Events will be onsite = less travel, more socialising! Registration and Full Itinerary for the weekend will be available from the 15thof March and registration will close Mid-May. We recommend you book your Accommodation ASAP to avoid disappointment. Details below. For those flying, book early for cheaper air fares or keep an eye out for deals! Don’t leave it to the last minute. Travel: How to get there? Fly to SYD (Cheaper Flight) & road trip to Canberra (Hire Car or Jump in with other SSPA Members from Sydney). SSPA Members (who have a car) are willing to assist people with transfers (not guaranteed). Pending Interstate Numbers, SSPA may organise a Mini Bus/Van. SSPA Members (who have a car) are willing to assist people with transfers to and from sports venue. Pending Interstate Numbers, SSPA may organise a Mini Bus/Van. Sports Entry Fee/Participation Fee: $15 per person. Covers cost of Facility Hire, Awards, and Sports Equipment. To partake, you MUST be an SSPA Member for Insurance Purposes. No Membership = No participation. No Exceptions. **BBQ Dinner (Saturday Night): $5 per adult, $2 per child OR Bring your own food to cook up (8 BBQs Onsite). BYO Drinks. Alivio offer a range of accommodation options to suit your needs. From Villas and Cabins to Motel Rooms. Price can be as low as $44 per night/per person (Based on filling a Cabin). Click Accommodation to decide on the ideal accommodation for your needs. To save money, combine with others to fill up a Cabin. Could be $44 per night pp!! Book Online or Phone to confirm your reservation. Online Booking: In “Additional Details/ SPECIAL REQUESTS (OPTIONAL)”, mention “SSPA Group” to ensure you are a part of our Group. Don’t stress if you cannot find it. GUARANTEE POLICY: All reservations must be guaranteed with a deposit of 1 night’s stay plus tax at the time of booking – Non-guaranteed reservations are not accepted 9. CANCEL POLICY: Reservations must be cancelled or modified 7 days prior to arrival to avoid a fee equivalent to the first night’s accommodation including tax.